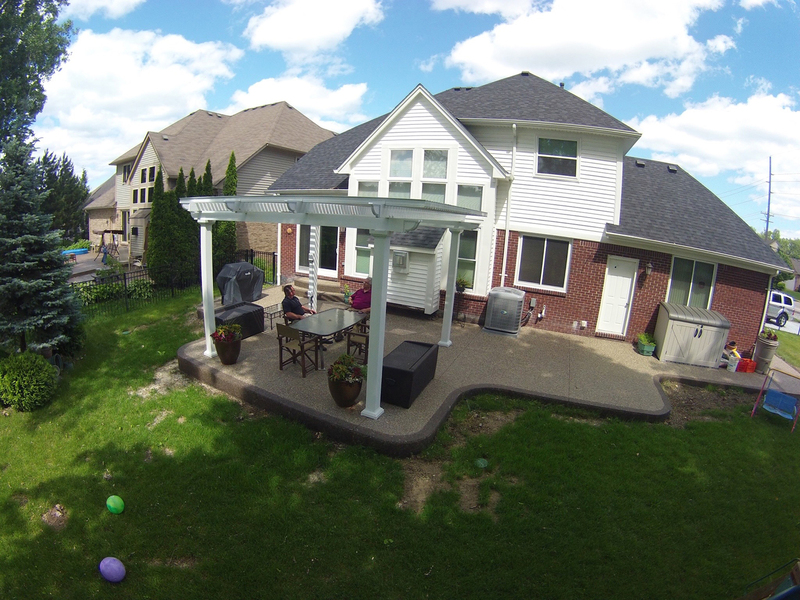 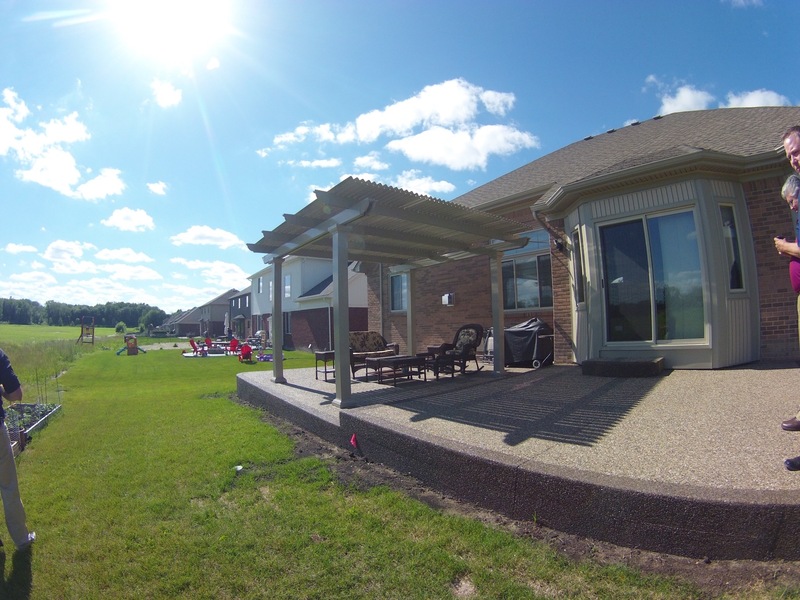 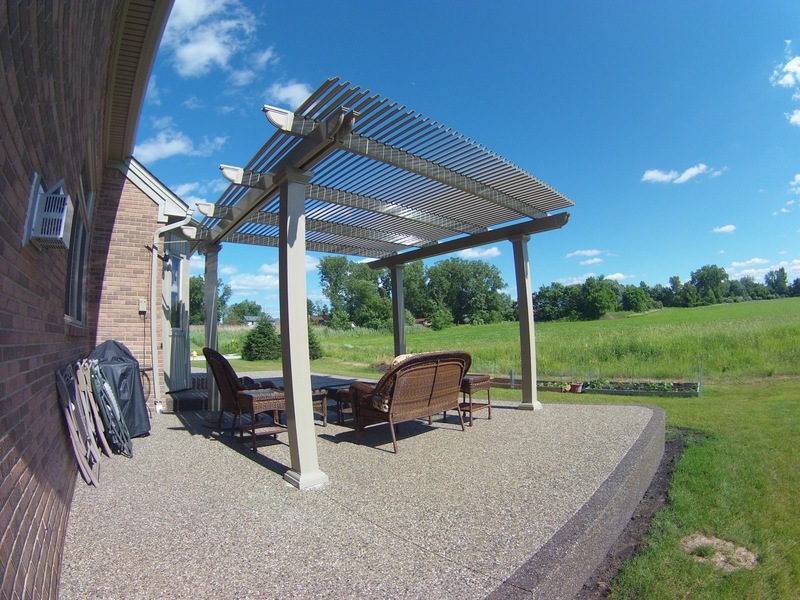 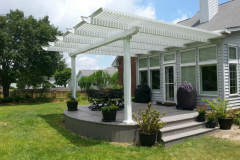 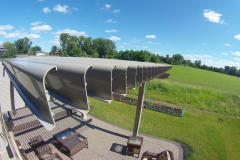 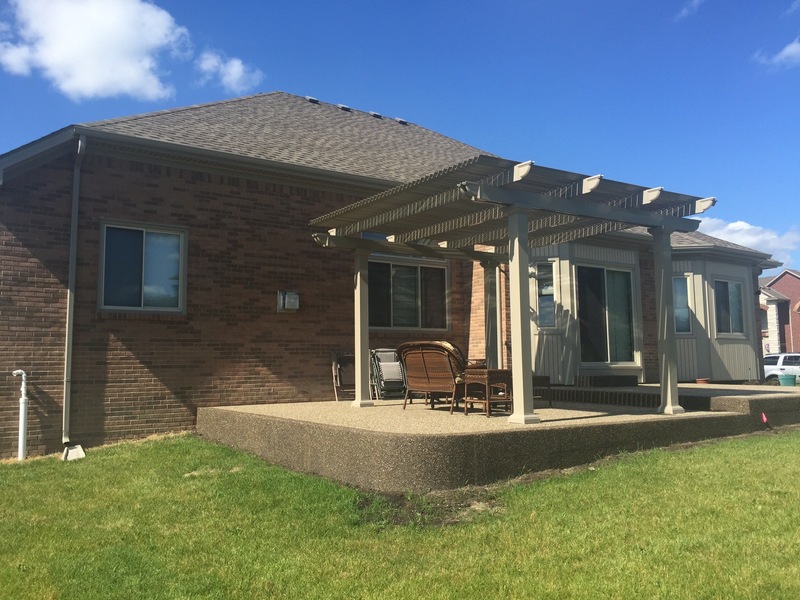 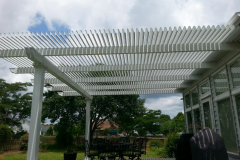 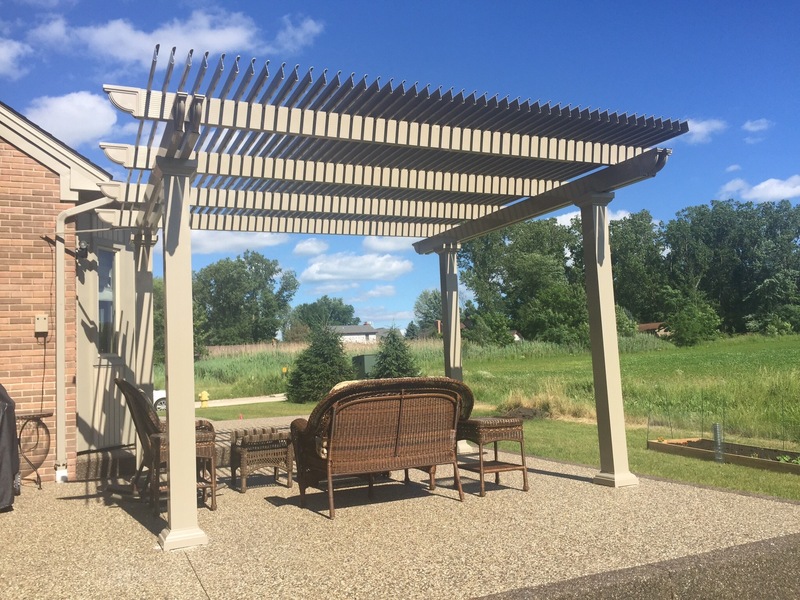 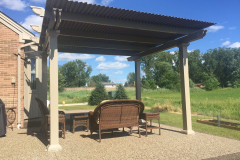 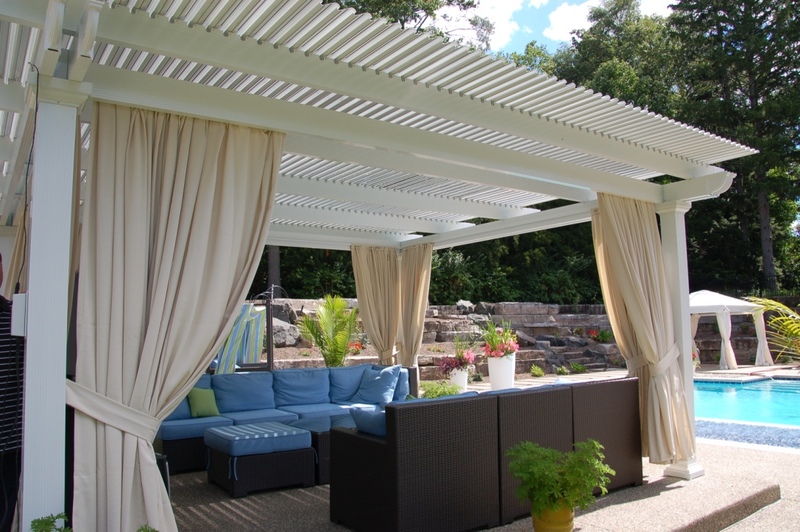 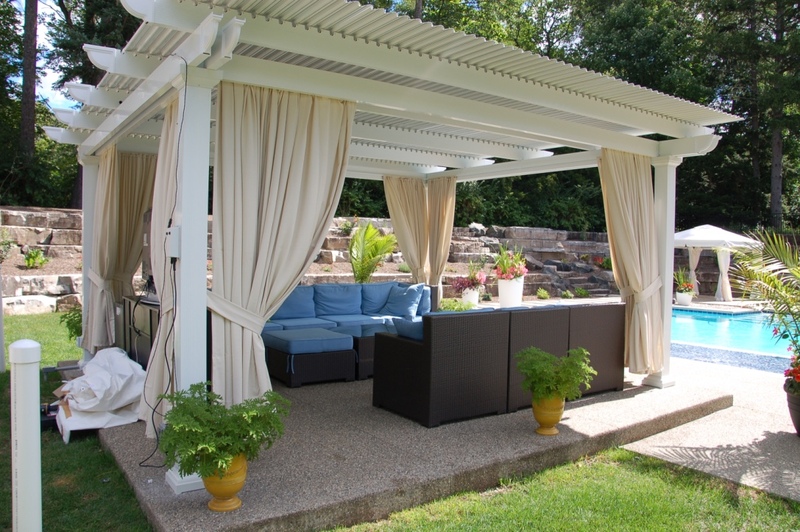 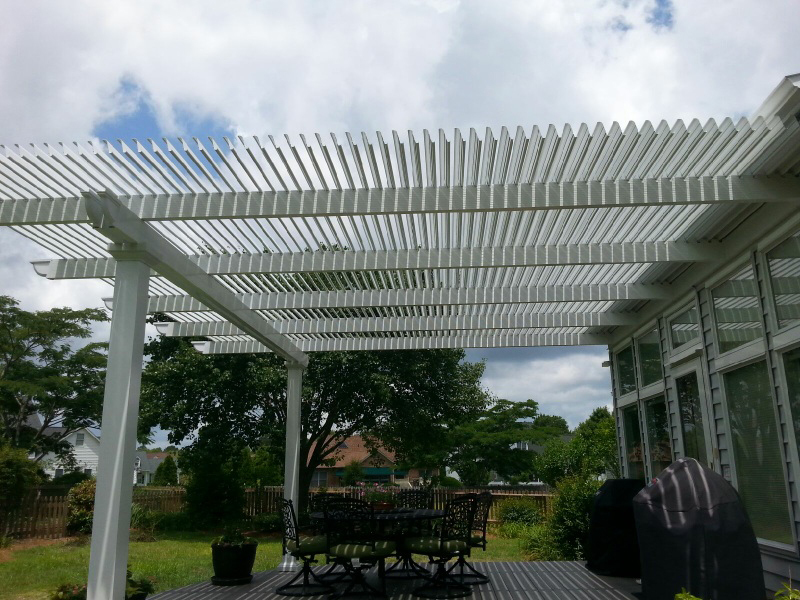 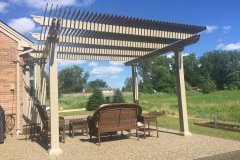 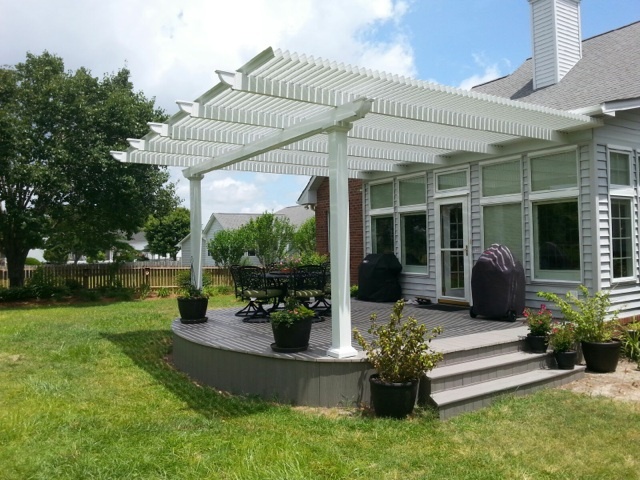 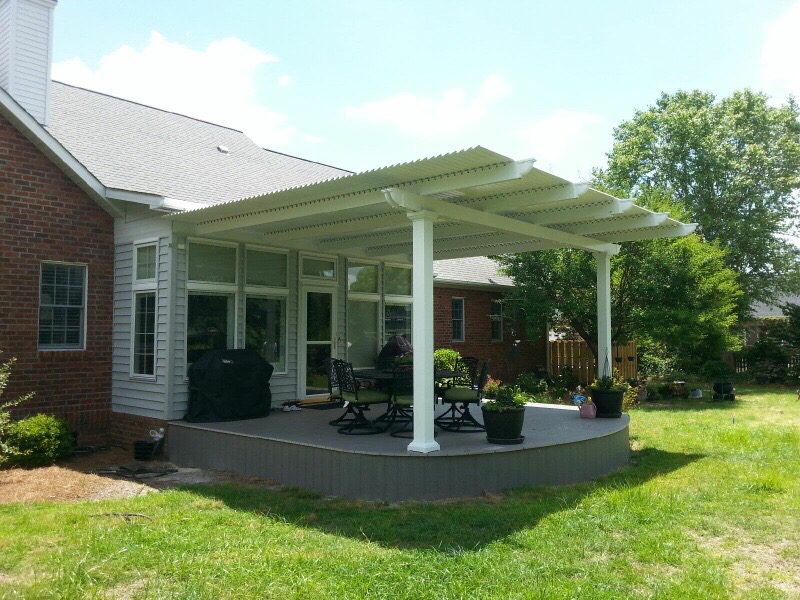 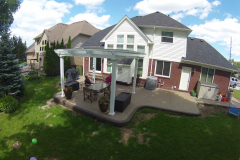 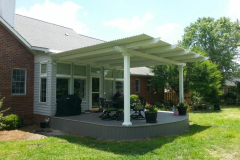 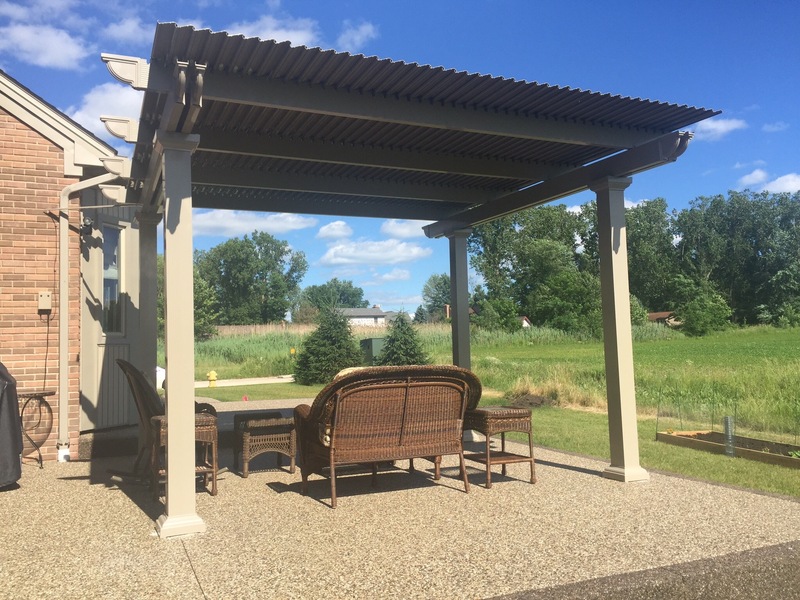 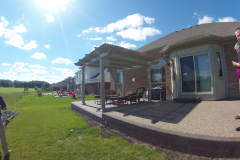 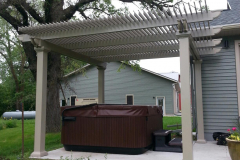 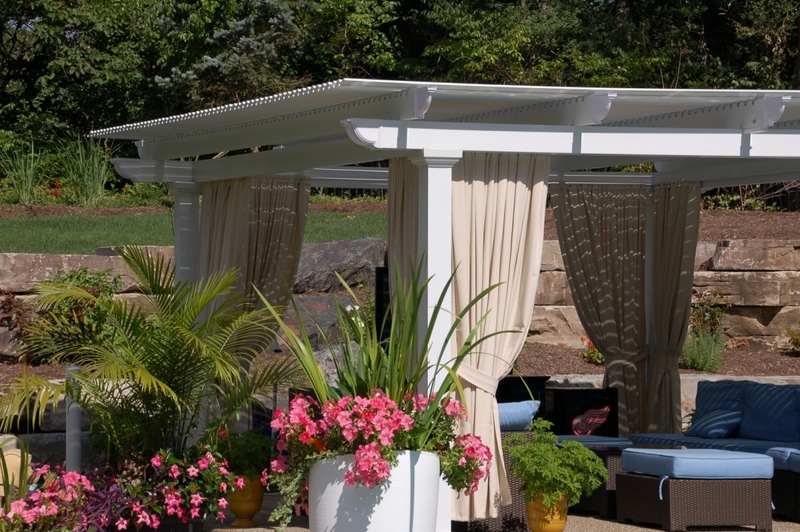 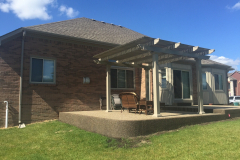 Adjustable patio covers by TEMO are an excellent choice for homeowners in Indianapolis, Indiana, because they combine the benefits of a traditional pergola and a solid patio roof into one. 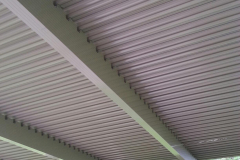 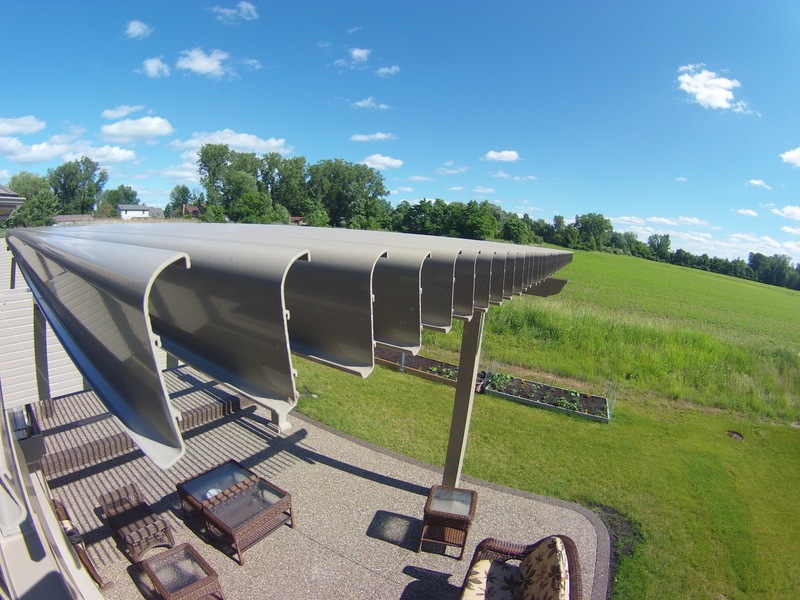 Slow-motion actuators control the roofing panels so that when they are open like a pergola, you can enjoy the sunshine on a nice day. 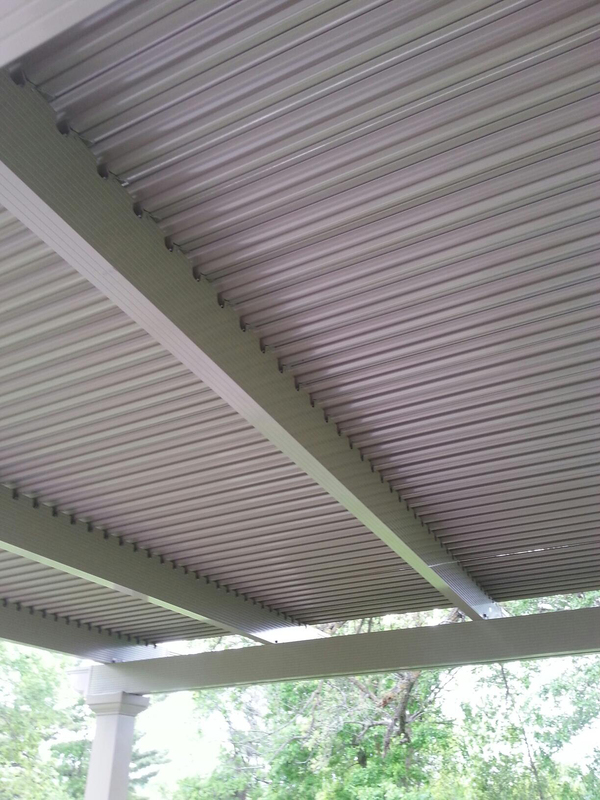 And, when it’s raining or the sun becomes too intense, the roofing panels can be closed like a solid patio cover to protect you, your family, and your furniture from harmful UV rays and the elements. 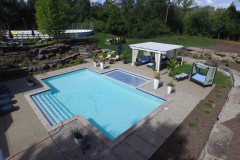 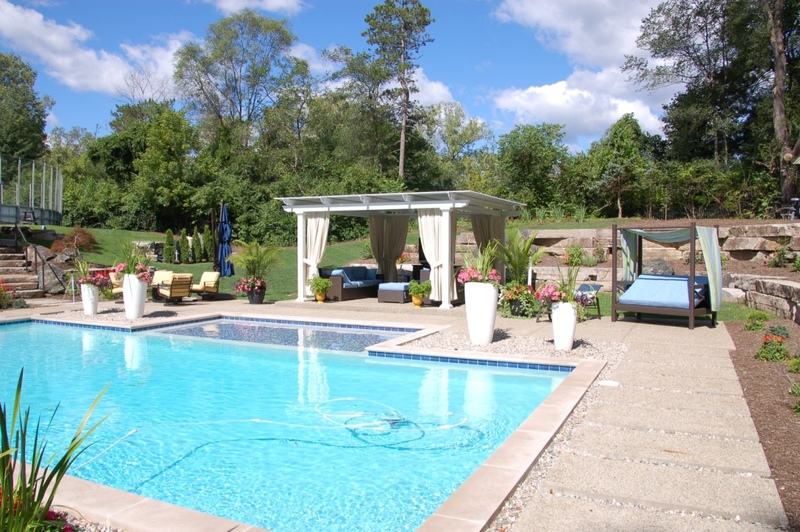 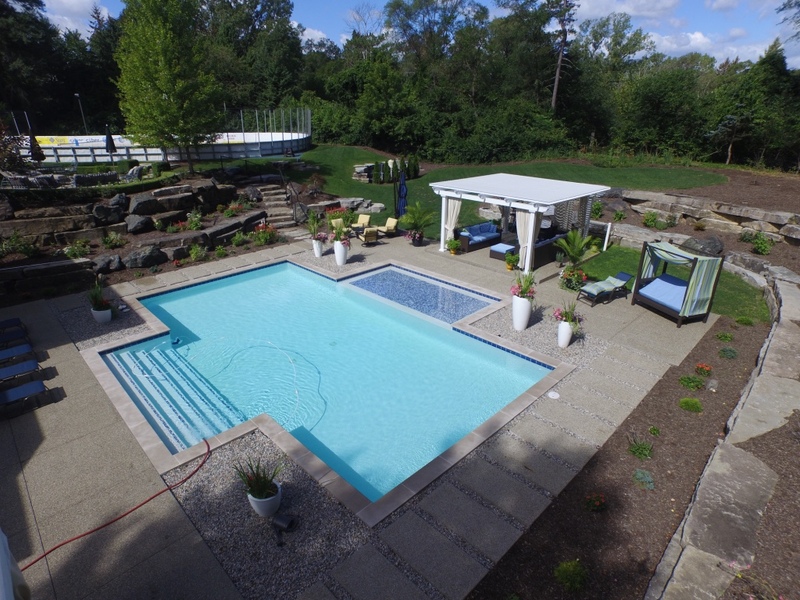 As one of the top manufacturers of premium outdoor living products for decades, TEMO proudly supplies adjustable patio covers to homeowners in Indianapolis, IN. 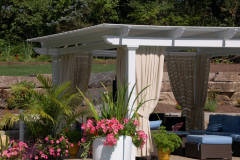 These attractive and durable covers are available in white and sandstone colors with columns in three beautiful styles inspired by the traditional architecture of Italy – Roma, Venetian, and Florentine. 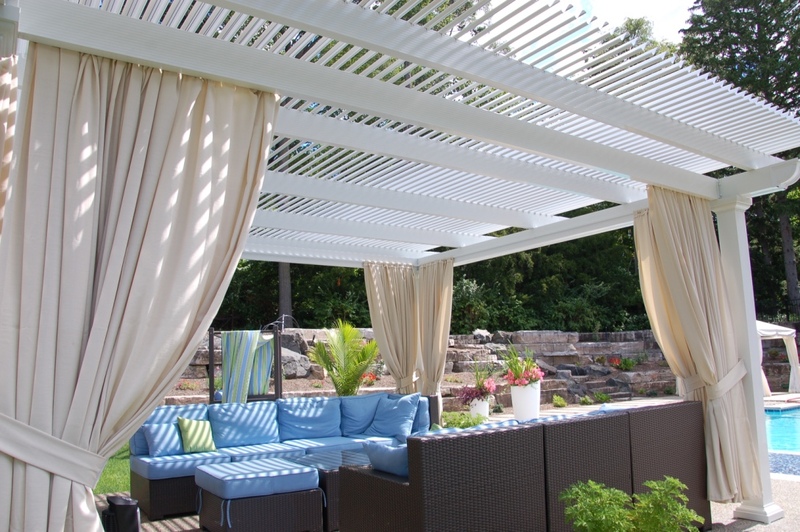 These patio covers are crafted from heavy-gauge extruded aluminum, which is stronger than roll-formed aluminum, wood, and vinyl. And, they are formulated with a powerful electrostatic finish, so they won’t crack, peel, rot, or chip. Contact TEMO today for more information about the features and benefits of our adjustable patio covers. 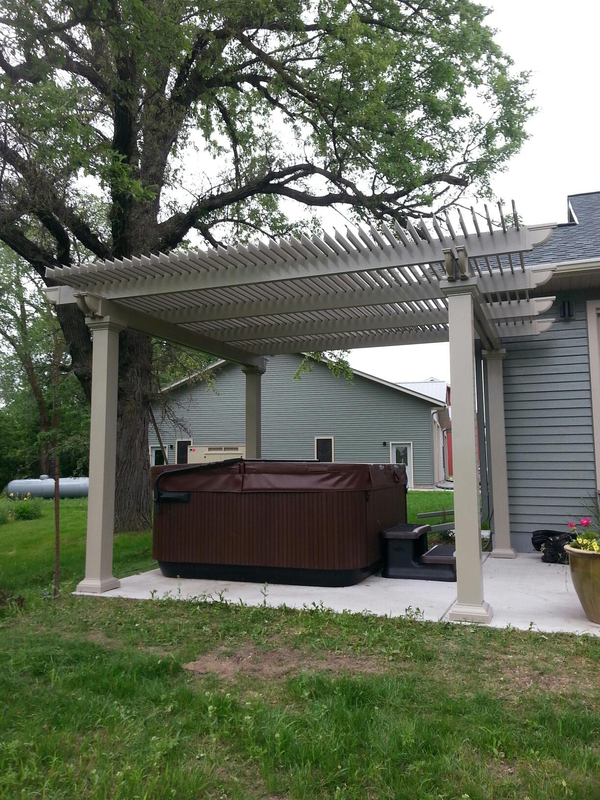 If you are interested in having one installed at your Indianapolis, IN, home, we’ll put you in touch with a TEMO-certified and -authorized dealer near you.